Welcome to the Commission's Forms Page. If you need assistance completing a form, filing information or do not see the form you need listed please call, the Commission at (803) 896-5100. Form names that appear in blue font are linked to the Office of Regulatory Staff (ORS) forms website. 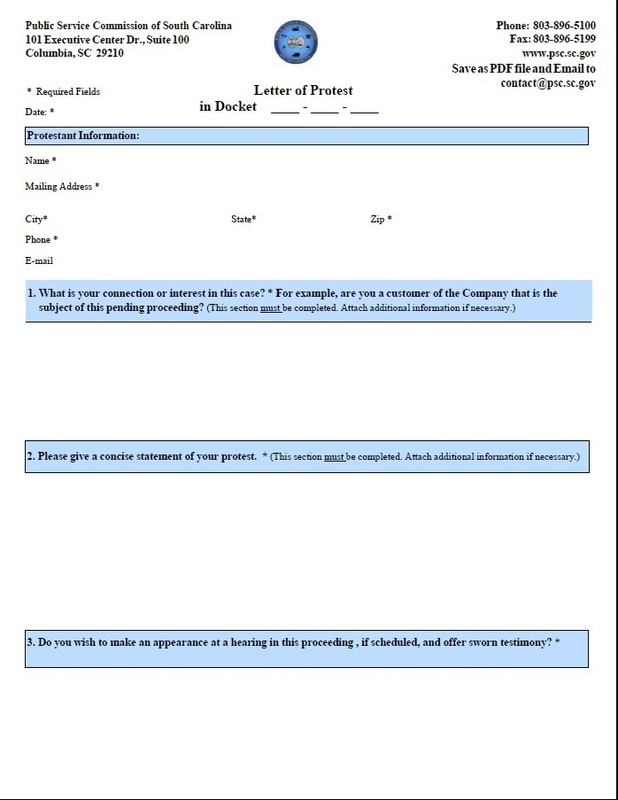 These forms are maintained by the Office of Regulatory Staff. Instructions for completing and filing ORS forms are available on their website. Documents are also available in Microsoft Office file formats for those who have Word software installed on their computer.